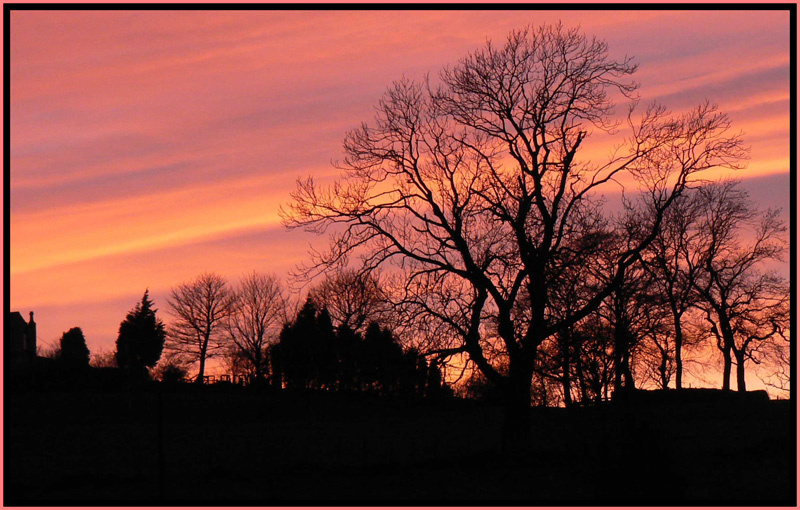 This was the marvellous view from my garden as the sun was setting behind the trees. Both my husband and I rushed out to capture the scene before it changed. There was a bit of competition for the best vantage point but we both managed to get a few photographs before the sky lost its magic! Very little pp work, just cropped, framed and resized. Hello Beverley this is a beautifull shot the silouetting is lovely against the gorgeous colours tfs rgds Necip. no wonder u guys were competing for the best view.....the sky is so beautiful, the golden maroon spreadfing diagonally..and yes, they can vanish as fast they had appeared...so one has to hurry..
very beautiful colour and great silhouette. Nicely composed. Well done. Wonderful colors and amazing striations!!! The after sunset is a beauty, you�ve portraited it excellently. The sky has very nice clouds and colours.